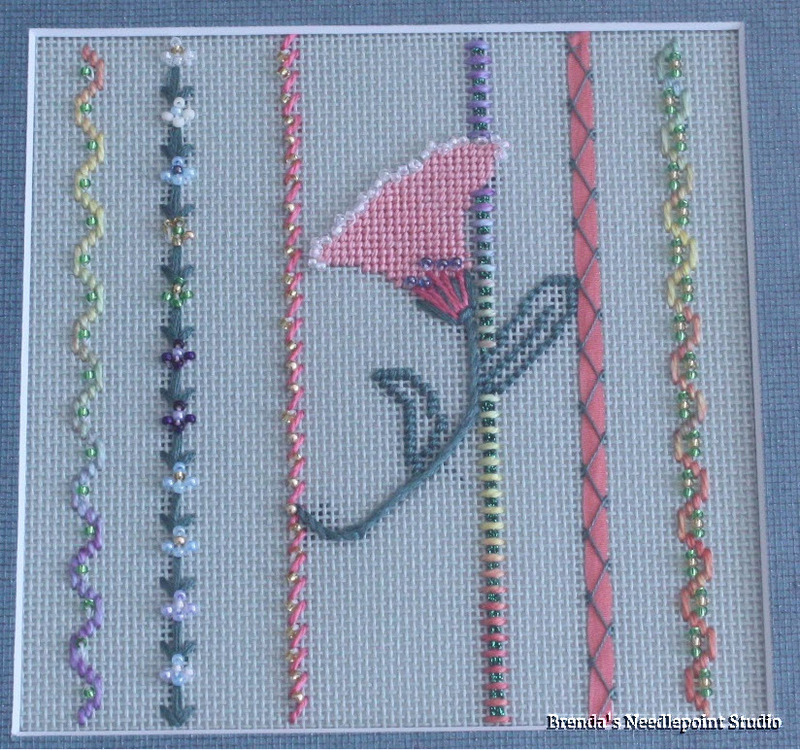 June, 2011--A lovely chapter class using a variety of techniques...beading, couching and "free form" design. The latter is not my favorite. But it didn't come out bad. Love the beaded ribbons.